Punch up your annual meeting, or delight the crowd at your next corporate event – The Cowguys corporate presentations deliver. Stand up style comedy, custom material and amazing stunts combine in a show that will have the crowd on the edge of their seats. 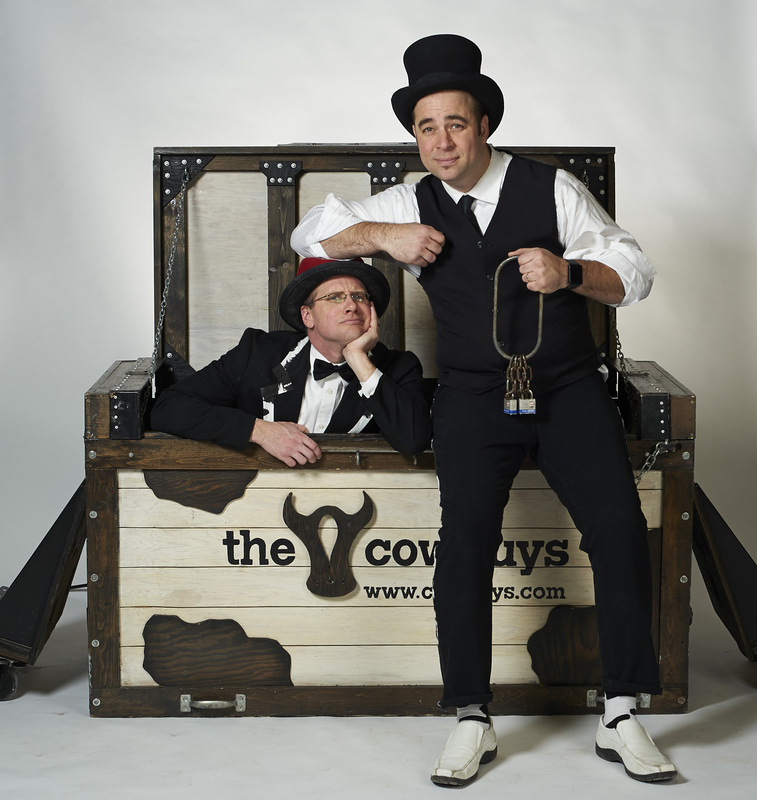 With over 50 years combined experience, the Cowguys show is trusted by event planners to deliver fun engaging shows. Full of clean comedy – you never have to worry about the Cowguys offending your crowd. Find out how we can make your next corporate event more fun! – Canadian Nuclear Assocaition Conference.